EJ Hughes is back in the light with his riveting Blue Canoe Records release "The Emotional Vampire Sessions" a followup to his 2005 release on Blue Canoe "Something to Say". The Saxophonist has traveled extensively performing in many genres with a passion and deep-rooted training in Jazz, Classical, and Contemporary music. The album's title track opens with a sweet, touching piano intro that points the listener to an emotional ballad that one imagines an old crooner from the early 1950s will join. Just as the audience is ready for this sultry voice, Mr. Patton enters with a strong snare lead that explodes into rock-like keyboard interplay. Eventually, Mr. Hughes comes in and exploits the solid foundation that has been laid and the improvisational exploration is awe-inspiring. The vampires are emotional, indeed! "The Emotional Vampire Sessions" by Atlanta sax-master EJ Hughes is a stunning sophomore release that brings something unique with each listen. The veteran players bring fresh and extraordinary perspective to these modern, straight-ahead jazz expressions. This release is not to be missed. 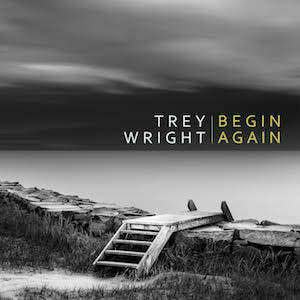 Atlanta's jazz guitar master Trey Wright has released his latest solo effort, "Begin Again". Mr. Wright puts together a moving group of songs inspired by his recovery from a depressive episode in 2016 and dedicated to ex-bandmate the late Carl Lindberg (Squat, Grogus, Old School Trio). ”Begin Again" also features Marc Miller (bass - The Atlanta Pops Orchestra), Marlon Patton (drums - John Patitucci, Randy Brecker, Rufus Reid, Wycliffe Gordon), Laura Coyle (vocals - twice featured performer at the Atlanta Jazz Festival) plus Sam Skelton (Matchbox 20, Train, Edwin McCain, The Gap Band, and The Ohio Players) and Grammy winner Mace Hibbard (Derek Trucks, Susan Tedeschi, and Tommy Dorsey Orchestra) on sax. In 1994, Mr. Wright co-founded the Athens/Atlanta based jazz band Squat. The group is a six-time winner of Best Jazz Band at the Flagpole Athens Music Awards and has been a featured artist at the Atlanta Jazz Festival. Several of Trey’s compositions with the group have received international airplay and have been featured on Sirius/XM radio and NPR’s All Things Considered. Mr. Wright also performs freelance in the Athens and Atlanta area and has performed with John Patitucci, Joe Lovano among others. Trey has performed at the Montreux Jazz Festival and in early 2008, he began playing with the Georgia Symphony Jazz Orchestra. In 2006, Trey released his first CD "Where I’m Calling From", receiving rave reviews and airplay throughout the United States, New Zealand, England, Australia, Germany, Italy, Canada, Luxembourg, Scotland, and The Netherlands. The Trey Wright Trio released "Thinking Out Loud" in 2009 on Blue Canoe Records. In 2010, the CD was included in the first round of Grammy Nominations/Entries for Best Jazz Instrumental Album. Trey’s long-awaited collaboration with Grammy-winning saxophonist Mace Hibbard "The Hibbard/Wright Project" was released in May 2013. In 2015, Mr. Wright released his Blue Canoe follow up titled, "Songs From Oak Avenue". Since 2017 Trey has been working with vocalist Laura Coyle as a duo and she is featured on three songs from “Begin Again”. "Begin Again" leads off with a moving tribute to Carl Lindberg entitled "From Now On". Mr. Wright says of this work, “...it was inspired by Carl’s passing but over time the song began to represent all of the life changes I experienced in my early 40's”. Trey starts off with a sweet-toned arpeggiated bounce that sets the song's theme. He is quickly joined by expert rhythm section Marc Miller on bass and Marlon Patton on drums. Mr. Wright lets it breathe with a spacious solo as the rhythmic dynamics drive the bus. As the solo fades, Mace Hibbard really brings some energy with a soaring saxophone melody. Unique ideas, sympathetic solos and melodic mastery mark this stellar opening track. 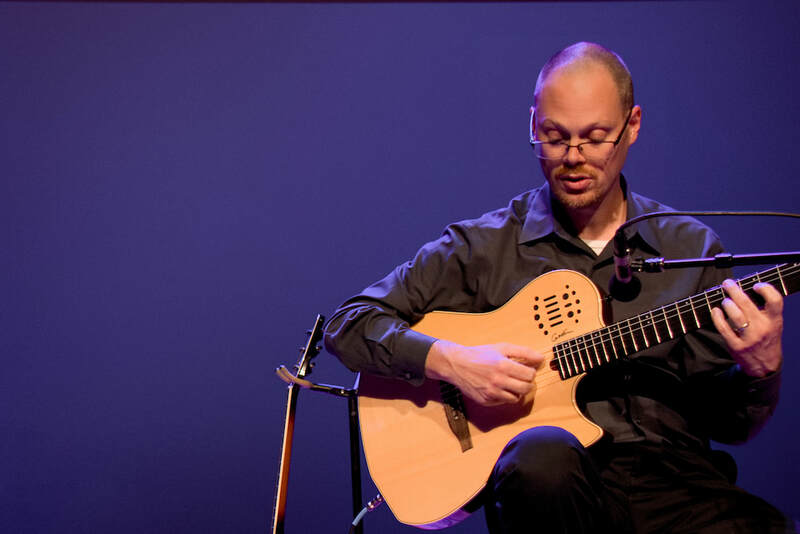 Virtuosic guitarist, composer, arranger, and educator Trey Wright delivers a beautiful new uplifting jazz album titled, "Begin Again".